An epiphany like that is not to be taken lightly – being an adult is supposed to be a big deal, right? It’s what we’ve been looking forward to ever since we were kids. It’s what we spent the last two decades of our life preparing for. So why is it that once I was there, it was such a bitter-sweet feeling? Sure, I’m old enough to legally drink everywhere… but when I think about how many responsibilities I’m going to be laboured with in the coming years, I start to freak out just a bit. I mean like, what the heck is income tax?! The first thing people always do when they find out I’m in 4th year is bombard me with questions. One of the most popular ones is, “What are your plans after you graduate?” Sometimes I tell them I’m going to travel for a bit, sometimes I tell them I’m just going to work. Being a filmmaker, I’m going to have to grab at every opportunity that comes my way lest I become a starving artist. But at the same time, I’ve spent the last 16+ years of my life going to school and having people tell me what to do – I think I need a little me time, you know? And me time might be just what I need in order to clear my head and sort through all these conflicting feels. 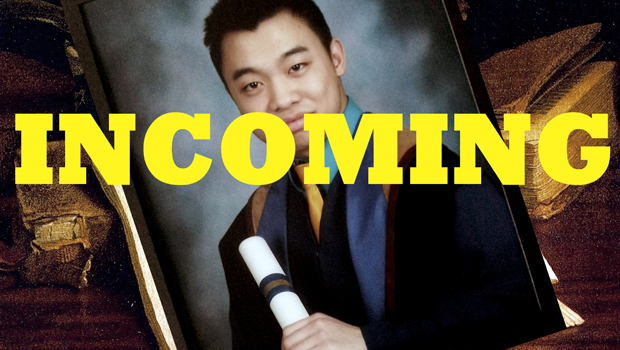 Another question I’m commonly asked is, “How does it feel to be graduating?” The answer to this question was to serve as the basis of this blog post but to be honest, I don’t really know. While writing this, the attempt to articulate my words resulted in an attempt to articulate my thoughts as well. Initially I had stared at an empty page with not a clue what to write, but as the stream of consciousness slowly began to flow, my thoughts became clearer. Perhaps I’m not ready to face “the real world” yet. Perhaps I’m not quite prepared to face the responsibilities of being an adult. Maybe I still want to cling on to the vestiges of my innocent and carefree youth, but so what? Society constantly tells us to be mature as early as possible but when push comes to shove, we’re never going to feel completely ready. When life decides to smack us in the face with a deluge of obligations, all we can do is tackle them the best we can given the resources and knowledge we have obtained. Previous ArticleFashion Tips: Transitional WeatherNext ArticleWill You Accept This Rose?